There is plenty of evidence that caste-based discrimination exists within Indian diasporic communities. Recognising and engaging with this discrimination is crucial instead of attempting to sweep it under the carpet. On 24 July, the National Commission of Hindu Temples (NCHT), UK asserted that the “continuing use of the term ‘caste’ with reference to the Hindu community is a perpetuation of the colonial use of this term to falsely denigrate and divide the Hindu community in order to facilitate the evangelical conversion activities of the Anglican Church” (emphasis added). They argue that for Great Britain’s Equality Act (2010) to even consider recognising a person’s caste background as one of the reasons for unlawful discrimination constitutes “religious colonialism”. Which apparently means the following: “the replacement of heathen cultures and religions is as much if not more an act of genocide as the physical genocide, in that it seeks to destroy not only the fabric of a community, but the core psychological links with its ancestors and their spiritual and cultural knowledge. It is an act of emotional and intellectual violence of the most heinous kind, a crime which has no place in the 21st century …” (emphasis added). Read the first statement again. The italicised part suggests that to think that the Hindu community is divided into castes is false and is a colonial construct. If this is true, then it logically follows that the meaning of the second statement is that the existing fabric of (Hindu) society, which encompasses their “spiritual and cultural knowledge”, is completely free of caste (the false category). If this is the case, why does the author of the fascinating document “Caste, Conversion and a ‘Thoroughly Colonial Conspiracy’” identify himself as Pt. S.K. Sharma? “Pt.”, a short form for “Pandit”, as only those with knowledge of the caste system would know, is not a recognised or standard title in the UK. It denotes the caste of the author (Brahmin). Why would a person, for whom caste was not a lived reality, something that he did not believe in, go through the trouble of adding an extra honorific, not required by law, if not to indicate his caste? Maybe because caste is not as false, dead, redundant or irrelevant as we would like to believe. Even in India, where there are daily reports of caste discrimination and atrocities and evidence of caste-based disparities is strong and compelling, caste denial, especially by those who are privileged by their caste status, is common. It is not surprising, therefore, that this denial is even stronger within the Indian community in the UK. Which is why it lobbied extensively to keep caste outside the purview of the UK Equality Law. While this law bans other forms of discrimination and in the initial Bill had decided to include caste as one of the axes along which discrimination could possibly take place, due to pressure from powerful Hindu groups, the final version of the law dropped caste. This means that the law does not outright ban caste-based discrimination (as it does other forms of discrimination), but instead adopts a “case law” method, where the remedy for caste-based discrimination would be shaped by successive court judgments, should victims choose to seek legal redress for discrimination. Given the time and costs associated with legal procedures, several victims of caste discrimination might never go to court. But what if this is not an instance of caste denial? What if, in fact, caste divisions are largely irrelevant in the Hindu and Sikh diaspora and that caste didn’t really leave the Indian shores? What if migrants shed their caste, as well as their caste consciousness, as they boarded ships and planes? If indeed they did that, it would be admirable and brave. However, it is not apparent and certainly there is no evidence, that migrants necessarily shed their beliefs and practices as they leave their home countries; often the evidence points to the contrary. It is often the case that diasporic communities try to recreate and maintain, in their adopted countries, key components of their lives from back home, which in the case of migrants from India, could very well include adherence to their own caste rituals and by implication, a continued awareness of their own caste as well as that of others. This awareness could be benign, confined to rituals, festivals, language and food. But it could well go beyond that and exhibit the same discriminatory tendencies that are clearly seen in India. This question can only be settled with evidence. It turns out that prior to the final formulation of the equality law, the UK government held extensive consultations and sought evidence on the extent of caste-based discrimination within the large Hindu and Sikh diasporic community. While the term “caste based discrimination” could refer to any caste, the debate focused on whether there is any discrimination on the lowest rung of castes – the Dalits, or those historically considered “untouchable”. Are the words “churha” and “chamar” still used to refer to individuals – both being jati names, but also terms of (casteist) abuse? When diasporic Sikhs refer to Sikhs as Ravidassia (as opposed to Jatt), does that usage invoke caste or not? A UK government commissioned report, aiming to study the “nature, extent and severity of caste prejudice and discrimination and harassment in Britain and the implications for government policy”, found evidence of direct discrimination, indirect discrimination and harassment based on caste status. The report makes for fascinating and eye-opening reading. Jatt Sikh drivers leaving the company a Ravidassia Sikh had founded after they discovered the caste of the owner; a Brahmin woman, working as a home care worker with the UK Social Services refusing to bathe an elderly patient who was Ravidassia (a task included in her duties); an employer asking if the employee was “chamar” and so on and so forth. Plenty of evidence was painstakingly collected by individual researchers as well as by the government commission, which showed that caste discrimination was not a colonial conspiracy, or so sporadic that it was almost irrelevant, but a lived reality in the UK context. 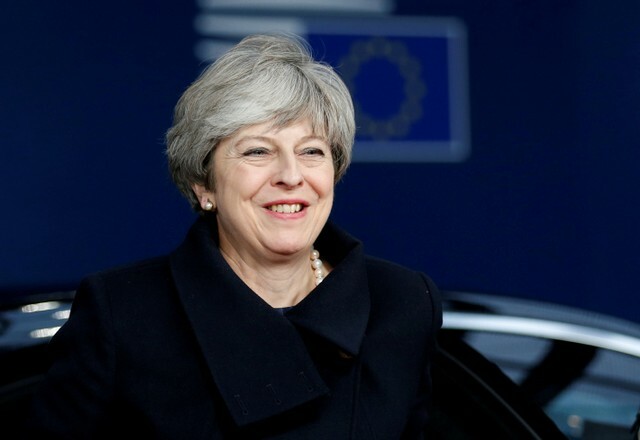 However, in the end, the Theresa May government announced that the evidence did not warrant inclusion of caste-based discrimination in the variety of forms of discrimination to be banned. Two questions arise in response to this announcement: one, so what? Does banning solve any problem? And two: is this denial of caste in international fora recent? The answer to both questions is “no”. Banning, per se, does not end any behaviour, but a legislation that explicitly (correctly) recognises a practice as illegal paves the way for mechanisms that can be set in place to monitor and reduce such instances. Two, unfortunately, this recent instance of pressure on the UK government to not explicitly recognise caste-based discrimination is a continuation of a much older policy of successive Indian governments that have insisted caste to be an internal issue, not open to international discussion. Thus, in the 2001 anti-racism conference in Durban, the Indian government exercised all its might and succeeded in keeping caste outside the purview of the recognition of race and other forms of discrimination based on descent. These efforts to sweep the caste problem under the carpet; to deny, especially to the rest of the world, the legitimate lived reality of 260 million people globally who experience caste-based discrimination, doesn’t make India shine any brighter. Denial or a refusal to engage with reality does not make it go away. On the other hand, recognising it, talking about it and engaging with it might actually cleanse and enhance the “core spiritual and cultural knowledge” that sustains our diasporic communities. The denial of discrimination by the Indian diaspora is especially ironic today, as they themselves are vulnerable to racist discrimination and hate crimes due to the rising tide of xenophobia and ultra-nationalism. As a collective, we need to realise that Dalits within the Indian diaspora are as worthy of respect and equal treatment from their so-called upper caste brethren, as all diasporic Indians are from the White majorities in the countries they have chosen as their homes. 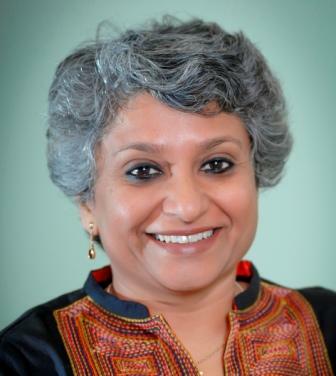 Ashwini Deshpande is a professor of economics at the Delhi School of Economics, University of Delhi. She can be contacted at ashwini@econdse.org.